As Pakistan deals with political turmoil after Prime Minister Yousuf Raza Gilani's disqualification from office, his successor could well be picked by the Pakistan's People Party like a joker from a pack of cards, veteran political leader Gohar Ayub Khan said. "Its like a pack of cards. You shuffle that pack of cards and eventually a joker comes out. So we will have a joker coming out," Khan, a veteran Pakistani politician told CNN IBN. 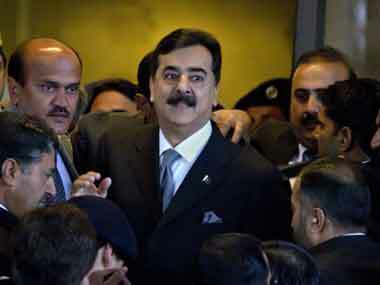 Pakistan's Supreme Court yesterday said that Prime Minister Yousuf Raza Gilani, of the Pakistan's People Party, is ineligible to remain Prime Minister following a 26 April conviction for contempt of court. According to Khan, Zardari will not call for elections this year and could give the existing government multiple chances to survive till the end of its term. "Zaradari is head of his party(Pakistan People Party) and the President of country also. So he is not going to act against his Prime Minister or the party as such. That is the main reason why this government has stretched itself to four and half years," he said. He also pointed towards a clause presently in the Pakistan's constitution, which states that the President has no power to dissolve to National Assembly. "Had the previous constitution been there and if the President had the power to dismiss, then I think this government wouldn't have lasted more than a year. There is so much corruption and maladministration," he said.